Should you choose a visual programming language or a textual language when you start your programming journey? Let’s find out! The answer to that question really is subjective. What are you seeking when you finish your learning journey and start your career? 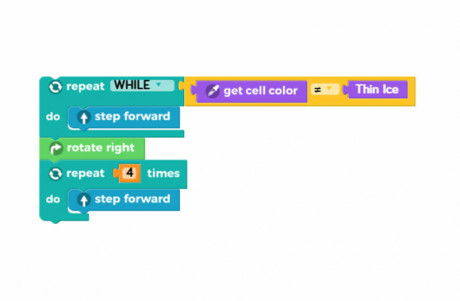 Visual programming is always fun, easy, and intuitive. It also provides a good explanation of how the pieces of code work together. This technique allows you to easily find and correct bugs. You don’t have to worry about syntax, semicolons, or other language-related problems that cause suffering for newbie programmers. Textual languages can provide a variety of applications once you are experienced enough. 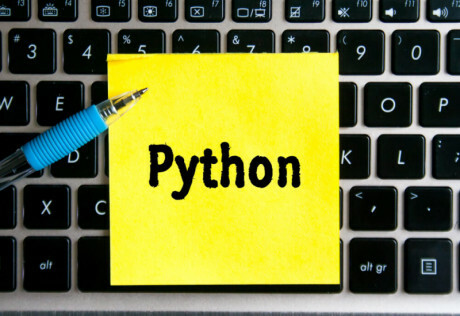 You will quickly lose your concerns about syntax errors and become more acquainted with writing clean and structured code. What do you gain in return? The number of applications that are supported by textual languages really gives this approach a lot of extra points. 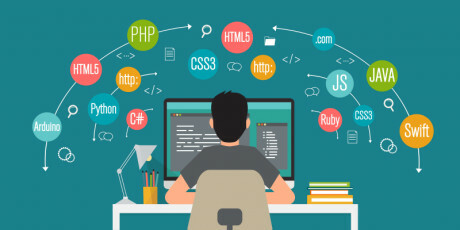 If you wish to develop a product or have your code read and revised by a professional, then you should focus on textual languages. If you seek a nice and easy language to see your first program come to life quickly, then visual programming is your choice. If you don’t want to choose, you can actually get the best of both worlds. 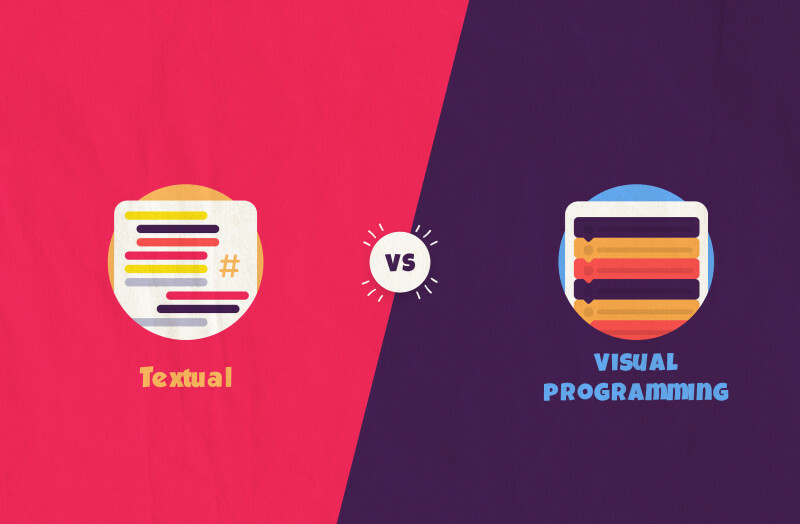 Why not start with visual programming and then move on to textual languages? Becoming experienced in textual programming while seeing your results visually will help you bring your ideas to life while giving you the practice you need to reap the benefits of textual programming. The code editor, which is where the user writes their code, helps by providing autocomplete capability. When the user writes any letter, a menu that includes all possible statements beginning with that letter appears. These statements are based on the current mission and include only the code that can be used in that mission. For example, If the mission contains Move Forward and Rotate Right, the autocomplete will show Robo.stepForward() and Robo.rotateRight() but will not show Robo.stepBackward(). Let’s stop reading and give it a try now. Register for free today and start your learning journey with RoboGarden.